I don’t know about you, but for some strange reason this week seemed to fly by! Today is the first full day of Spring and hopefully it will stick around just as long as ‘ole Man Winter did! 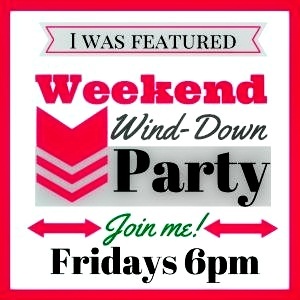 Welcome to this week’s Weekend Wind-Down Party, I am looking forward to finding some great light recipes to help jump start my “Spring Shedding of the Winter Weight Season” – lol! Congratulations to this week’s Featured Bloggers, we are truly happy that you are participating and have linked back to us. There were some really awesome recipes, blogging tips, fashions, and spring cleaning challenges. Please feel free to add this button to your blog and check our Pinterest page as you are also featured there. 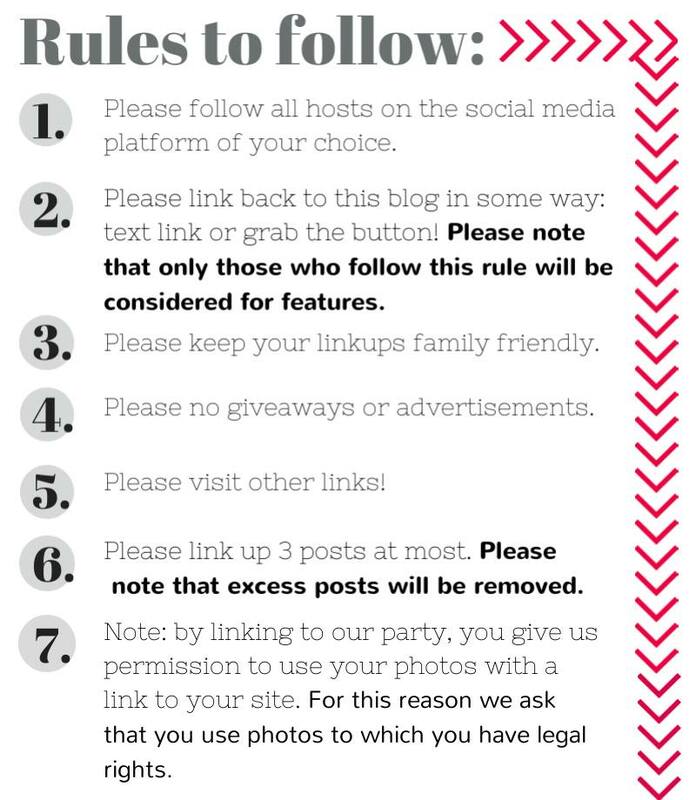 The rules remain the same and we ask that you stop by and follow your hosts via one form of social media. Have fun and have a wonderful weekend! Hi there, thanks for the party. Thanks for stopping by, hope you are having fun! Thank you! I hope you enjoy the first Spring weekend! I agree, this week did fly by! Thanks for hosting the linkup and I’m looking forward to finding some fun new recipes, tips etc.! Seems like it was just Sunday and now it’s Friday…oh well, at least I get to sleep in tomorrow morning so I’ll take it. See ya at the party! The brilliant blog photos post was amazing! So much pin-worthy info! Can’t wait to see what I’ll discover this week! Thanks for hosting! 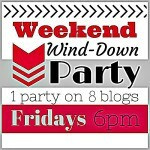 Thank you, I so look forward to these weekly wind-down parties. Have a fantastical weekend! Yes, there is so much to be found at these parties. Have a wonderful weekend.